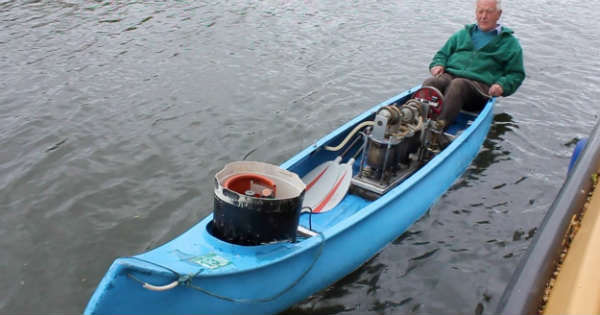 Home FOR FUN Stirling Engine Powered Canoe – For Those Who Hate Paddling! The Stirling Engine is a design originally introduced by engineer and inventor – Robert Stirling. This concept was presented way back in 1816. It runs using external heat in order to deliver the energy moving the pistons. This is pretty different from the internal combustion engine which relies on explosions inside the combustion. 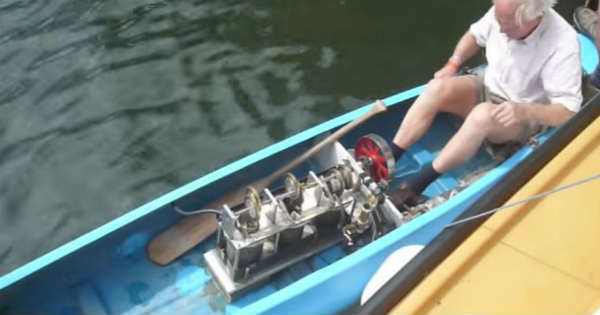 This video shows one awesome Stirling engine powered canoe. This engine is quieter compared to the ICE engine since there is no combustion inside the engine. However, don’t let that fool you because it’s extremely efficient since there is no exhaust and intake. At least not like in your typical power plant. As we said, the engine uses external heat from different sources. One of these sources is of course – solar power. However, this Stirling engine powered canoe is actually powered by a little propane burner placed bellow the engine. It pushes air between the cool and hot cylinders by using a regenerator which makes the motor functional. Two massive pistons are keeping the flywheel spinning. It also makes the engine to produce a couple of high-efficiency horsepower. 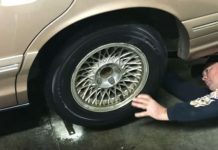 However, the engine is not continuously pumping fuel. Nevertheless, even if its 50% efficient, it still a pretty awesome option for applications like this small boat. The owner of this Stirling engine powered canoe is Julian Wood. Julian and his boat were featured in the Thames Boat Rally that occurred on River Thames. Now, we can’t be sure how much HP this little engines makes. Nevertheless, it’s clear enough that it has the power to move Julian Wood and his canoe around the river. Previous articleInsane 16 Cylinder Stirling Engine That Runs On Gas! Next articleTake A Tour In This Massive Abandoned Ford Plant! These Guys Came Across An Abandoned 737 Plane!